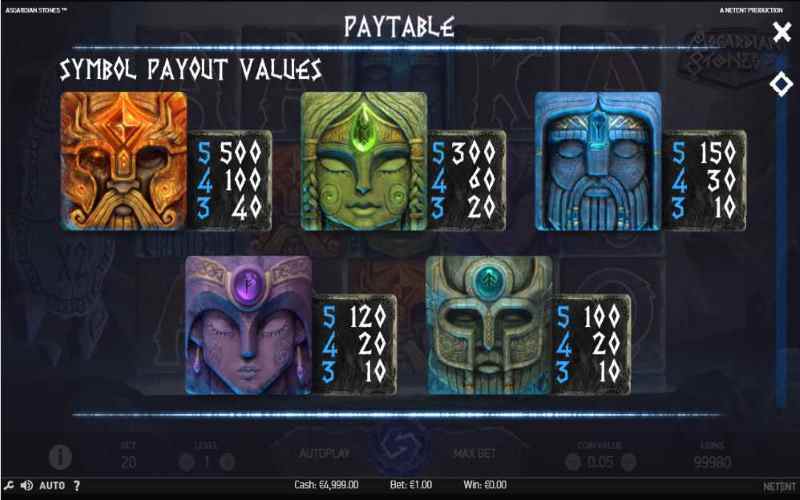 Asgardian Stones slots is an online casino game which has been proving appealing to players since it was released in February 2018. 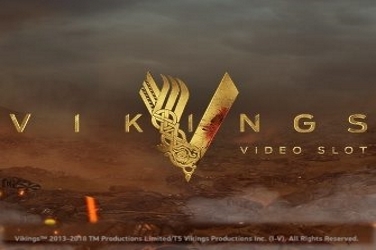 Net Entertainment have taken Norse mythology as their inspiration and when you see its design you may think of the recent movie Thor. Odin being the main symbol throughout the game but images of other Gods and Goddess are also used. 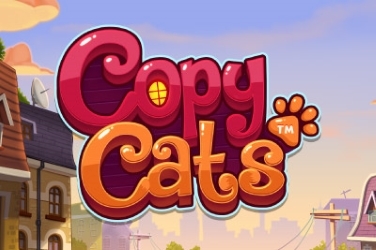 There is a grim and gloomy feel to the game something that is further enhanced by an accompanying moody soundtrack. A darkened background shows the gates to Asgard which was said to be the residence of the Nordic Gods. While the 5 reels sit in the forefront of the screen as part of a stone wall with a blow glow that lights them from beneath. To the left of the reels is a Multiplier Meter which will be explained later. 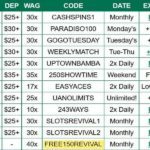 You can access this online slots via a PC or Mobile device and once the reels have been spun there are 20 winning pay lines to find. 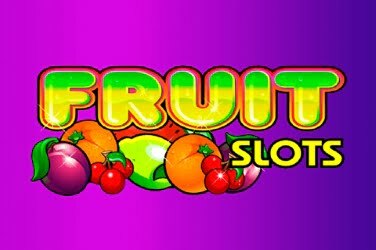 And the games designers have included Features such as the Colossal Crush Round and a Bonus Wheel so there are numerous chances to win big with this slots release. All the symbols are etched as if in blocks as part of the stone reels and are in keeping with the ancient theme. 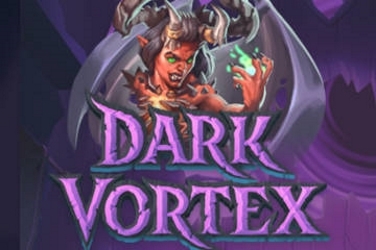 With this in mind the Q, K, and A symbols look more like Viking Runes rather than the typical card images. 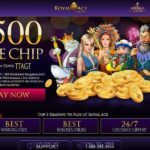 The other symbols included in this online slots are 5 icons depicting various Gods and Goddess with Odin as the main character and highest paying. 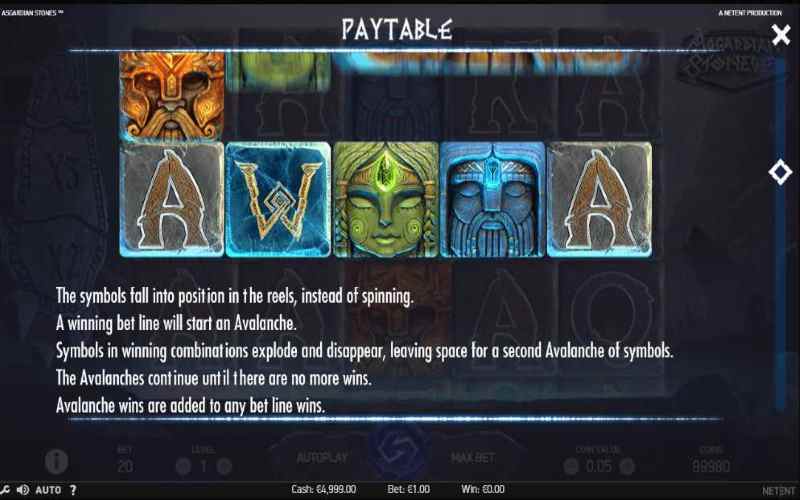 Avalanche Feature – if you aren’t already familiar with this it simply means that the symbols included in any winning combination will fall from the screen to be replaced by new ones. 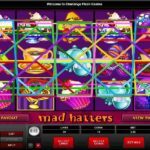 With this format of play you have the chance to add to your jackpot balance as long as matching symbols continue to land on the reels even after just one spin. Colossal Symbols – at any time during the game you may find a Basic symbol that appears in a 3×3 grid. Not only can this give you more chances to win but can also lead to a random Bonus Feature. Wild – the Wild symbol is a blue “W”. However the only Bonus it provides is to substitute for any others if a win can be found. Colossal Crush – if a Colossal symbol is spun then it may begin to “Crush” an empty row beneath. This will increase the Multiplier that you can receive on any wins up to 4x so you will see the Meter to the left of the screen light up. This Round continues until the block either stops or reaches the bottom of the reels. 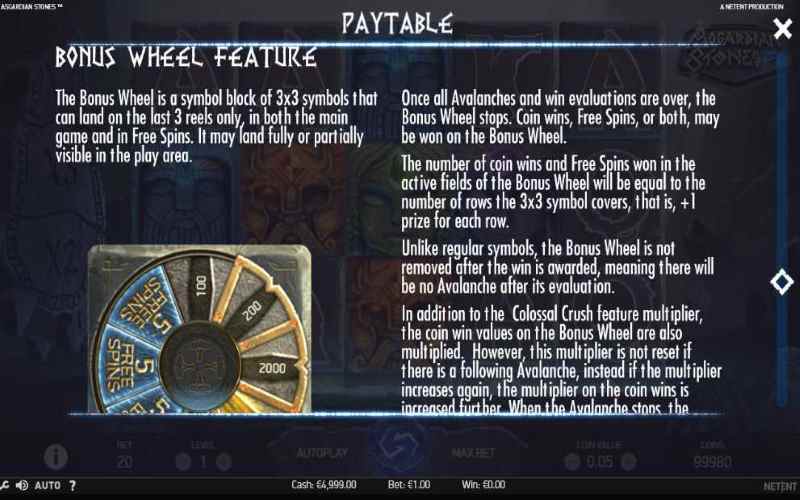 Bonus Wheel – there is a hidden Wheel symbol that can be found upon the reels of this game. 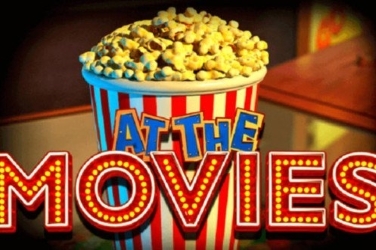 It is a 3×3 icon and needs to appear either fully or in part on the 3rd, 4th and 5th reels to activate further Bonus Features to take advantage of. 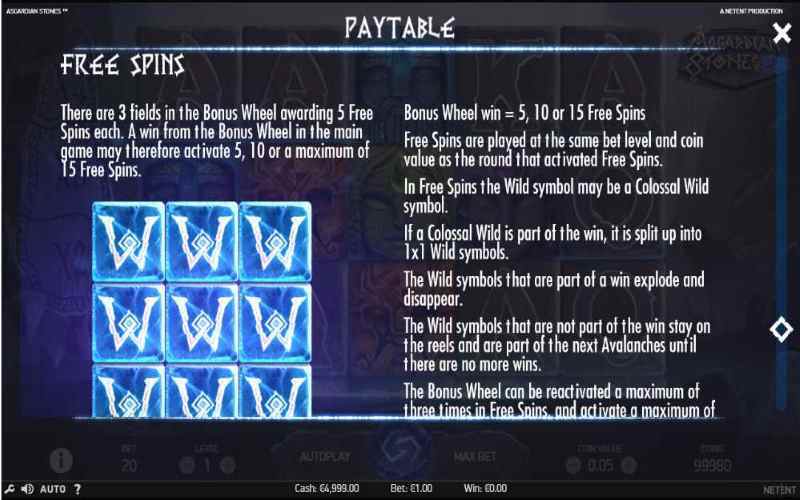 Once the Bonus Wheel spins up to 3x segments will light up to show the rewards that you can claim. Not only the Basic symbols but also the Wild can become a Colossal symbol. 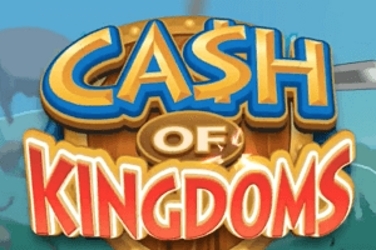 You are able to reactivate the Feature 2x more times and if lucky enough this could mean up to 25x Free Spins. 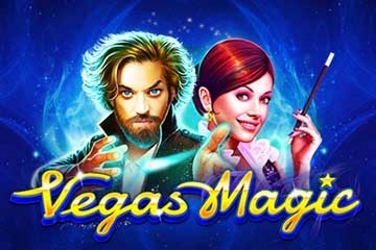 All you need is 0.20 to place a wager for this Net Entertainment slots game. 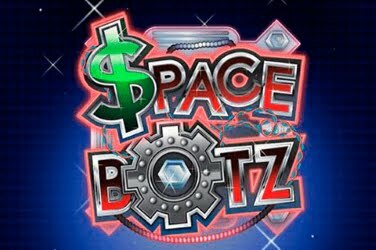 This is ideal for low rollers but for those with a bigger budget they could just hit the Max Button to bet 200.00 if they want. 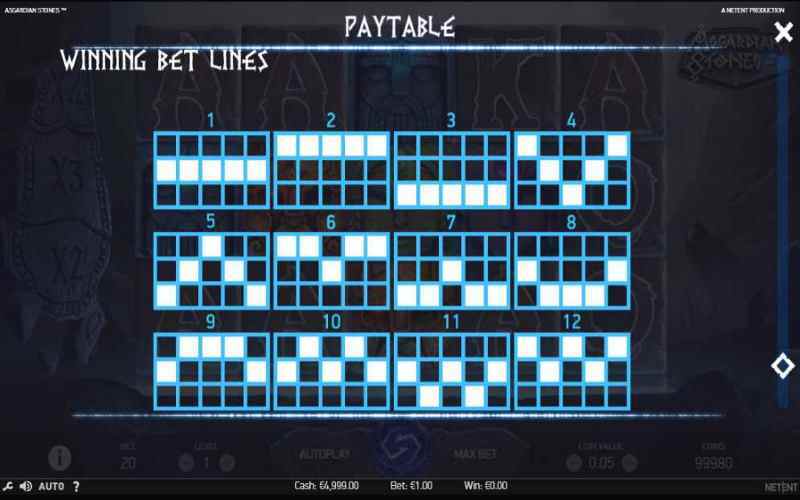 There is an Auto Play Feature that you can activate at any time during this online slots. So even if you need to be away from the screen you can still leave the reels to spin automatically for a while. 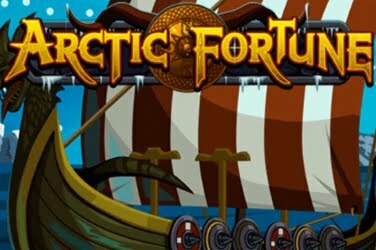 Some players may find this Nordic themed game a little dull and disappointing with the Bonus Features sometimes hard to trigger. 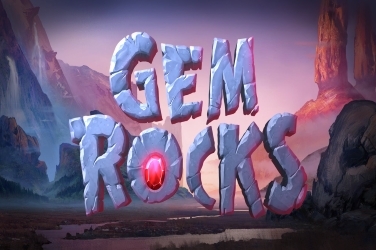 However it does have an RTP of 96.31% and there are various elements that keeps the Asgardian Stones slots game entertaining so why not take a trip back in time and give it a go. 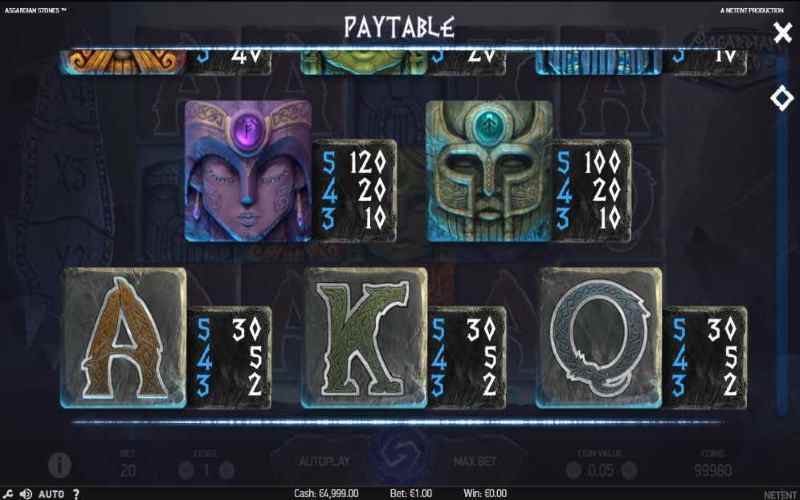 Where to play Asgardian Stones Slots? 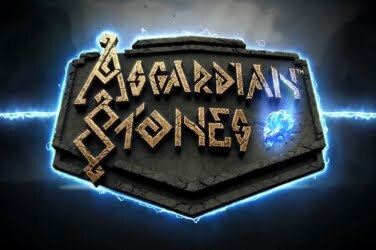 Asgardian stones is a 5 reel 3 row 20 bet lines video slot game from Net Entertainment. 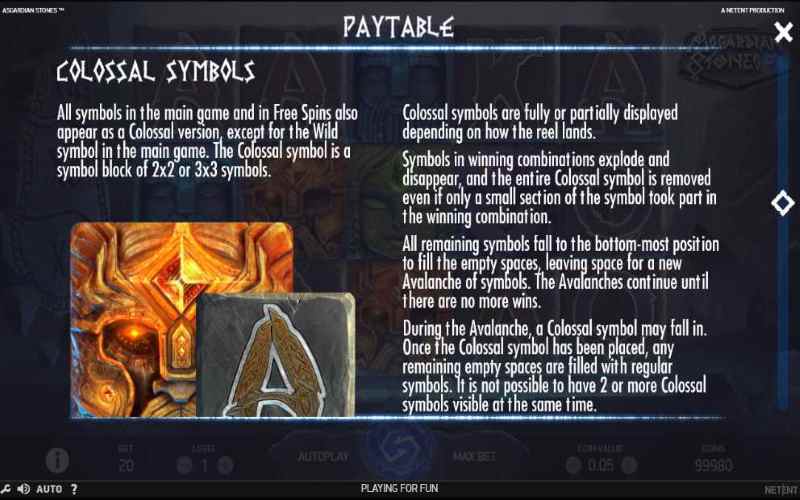 the game features colossal symbols, a bonus wheel, free spins, wild substitutions, and the avalanche feature. 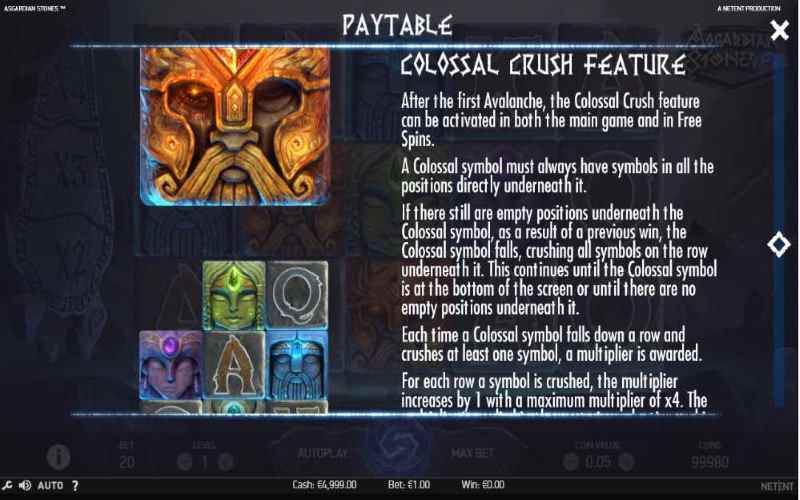 Asgardian stones has a maximum jackpot win of x100.000 times your stake.